ERC insists on energy fund for keeping electricity prices stable. In Tanzania, Kibo Energy and Edenville shares plunge after they were unsuccessful in coal power project bid. In Uganda, ERA boss says electricity prices to remain high despite excess generation of power. Kenya’s state-owned power producer, KenGen, has announced plans to raise funds from the market later this year and it may opt to issue the country’s first green bond. Rebecca Miano, KenGen’s CEO, said the company would go to the market once it redeems its 10-year, 25 billion shillings ($250 million) bond in October. The bond was heavily oversubscribed when it was issued in 2009. Energy Principal Secretary Eng. Joseph Njoroge says the government will continue to build and improve energy infrastructure including construction of Kshs 5 billion stand-alone power plants in remote off-grid areas in a bid to increase electricity access in the country. The Ministry of Energy failed to collect about Sh1 billion shillings from oil and gas exploration companies for the last three years, despite binding contracts, according to a report by Auditor-General Edward Ouko. 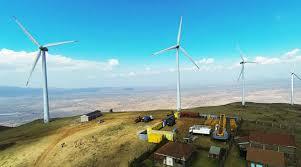 Kenya is moving forward with plans to set up an energy fund for keeping electricity prices stable and predictable despite the coming into operation of 310-megawatt Turkana wind farm that has helped keep charges steady. The Sh7 billion “green” chewing gum factory owned by US-based Mars Wrigley, which has been under construction for the past three years, is set to be commissioned mid this year. Shares plunged in Kibo Energy PLC and Edenville Energy PLC on Thursday after both companies were unsuccessful to bid for developing coal power projects in Tanzania. Tanzania’s Stiegler’s Gorge Dam, due to be built on a UNESCO World Heritage site, will cost more than double the government’s estimates, an independent study showed on Thursday. President John Magufuli has appointed Michael Nyagoga the new chairman of the board of directors of the Rural Energy Agency. Mr Nyagoga was the deputy commissioner for policy in the department of finance development, in the ministry of finance and planning. The Uganda Wildlife Authority has relocated wildlife from Isimba Village ahead of the commissioning of the hydropower dam project mid this month. Isimba dam, located in Isimba Village on Victoria Nile in Kayunga District, is home to a variety of flora and fauna. Ugandans may have to wait a little longer before beginning to enjoy cheap power even when the country is currently generating excess power, ERA has said. Crossboundary Energy Access Africa’s first project financing facilities for mini-grids, is set to receive a whopping US $11bn from investors to bring electricity to at least 100 million people on the continent. Courtersy of East African Energy Analytics.